Ask The Ripped Dude: What Are Health Benefits Of Drinking Coffee? The World's Most Ripped Fitness Model, Obi Obadike, explains the health benefits of coffee. I've heard that drinking coffee can aid weight loss. What do you think, Obi? You've heard right. 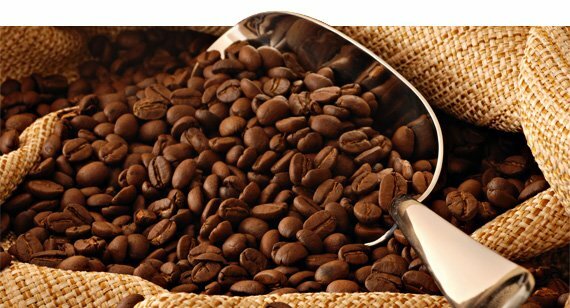 Coffee contains the stimulant caffeine, and caffeine can help improve your mental and physical capacities. It can aid your weight loss because it may stimulate your metabolism, inhibit your appetite, and make you uber-focused in the gym. Research studies show that long-term consumption of caffeine and coffee decreases body weight in rats. These animal studies on weight loss suggest that long-term caffeine and coffee consumption could decrease body weight in humans. However, the research also suggests that caffeine-induced thermogenesis (how your body burns calories to create heat energy) and fat oxidation is more significant in non-obese patients. Studies have also found that energy expenditure is elevated for several hours after drinking caffeinated coffee; they also suggest that a habitual consumption of 6 cups of coffee per day can increase energy expenditure that could lead to significant weight loss. The American Dietetic Association recommends three 8 oz. cups of coffee per day. Use these recommendations to make the right choice for you. "Studies have also found that energy expenditure is elevated for several hours after drinking caffeinated coffee"
So, keep making those morning runs to the Coffee Hut — but make sure your caffeine cup doesn't runneth over with whipped cream and caramel. One body of research proposes that people who drink coffee may be less likely to have Type-II diabetes, Parkinson's disease, and dementia. Other studies theorize that people who drink coffee are less likely to have certain cancers, heart rhythm problems, or strokes. A 2009 study of 83,700 nurses enrolled in this long-term Nurses' Health Study found that those who reported drinking two or more cups of coffee daily showed a 20% lower risk of stroke than those who drank less coffee. For a 2009 study from Finland and Sweden, researchers followed 1,400 people for 20 years. Those who drank 3-to-5 daily cups of coffee were 65% less likely to develop dementia and Alzheimer's disease than non- or occasional coffee drinkers. In a recent study of about 130,000 Kaiser Permamente health plan members, those who drank 1-to-3 cups of coffee per day were 20% less likely to be hospitalized for abnormal heart rhythms than nondrinkers. Because coffee can act as a natural diuretic, drinking it could rid your body of excess water weight. I drink black coffee the day before a photo-shoot to help me look dry and striated. It's been a great tool for me in my fitness career! Coffee does have some great health and weight-loss benefits. But just like milkshakes, biceps curls and running marathons, too much of a good thing can have deleterious effects on your body. Some people react differently to caffeine — it actually increases their appetites! Also, drinking too much coffee can cause jitteriness and anxiety; use it in moderation. 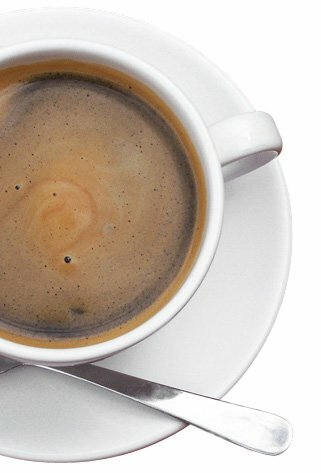 Enjoying too many cups of coffee too late in the afternoon or evening can also cause insomnia. If you drink multiple after-dinner cups of Joe, you might be in for a rough night of wide-awake life contemplation. If you don't usually drink coffee, make sure you gage how your body reacts to caffeine before you start making it a part of your diet.